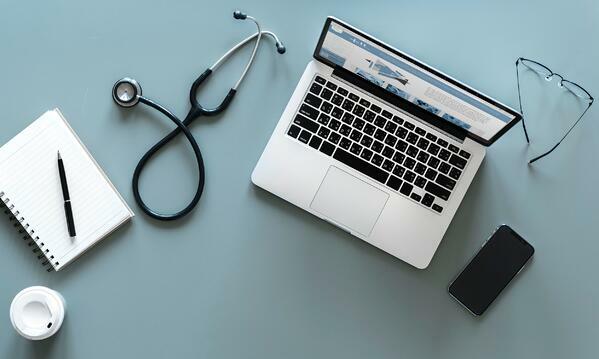 The increasing reliance on electronic health records within large healthcare facilities has caused the institution of a similar system to be an obligatory factor in the survival of individual physicians. The EHR software market continues to expand, including EHR vendor mergers which add to the complexity of navigating the transition to this type of patient data management. Patient reporting requirements associated with the Affordable Care Act have created additional compliance and accuracy challenges for doctors with independent practices. Physicians who are unable to successfully adapt and handle the escalating workload, fall prey to buyouts by healthcare organizations equipped with extensive staff to deal with compliance monitoring, billing, and insurance denials. Unless an independent doctor can find a digital solution for managing patient reports, payments, and appointments, it is highly unlikely these tasks will be effectively implemented by a small office team. The administration of overall practice management (PM) software is vital to creating an automated billing process, reducing insurance claim rejections, maintaining accurate health and financial records, and nurturing patient relationships. As an independent medical office attempting to compete with considerably staffed facilities, it is advisable to streamline your workflow where possible. Rather than relying on time-consuming manual data entry, medical billing software allows a more expedient payment system so you have faster access to revenue for sustaining the operations of your practice. Your employees’ capabilities can then be more productively utilized to complete other duties. Medical office software also permits greater transparency in scheduling, providing a clear agenda so your staff can anticipate your daily schedule. In comparison to vast organizations with distinct departments for handling financial and insurance matters, PM enables short-staffed doctors to reduce denials through insurance eligibility checks. You can ensure your time is better spent by first securing valuable information regarding whether a visit with a patient will be covered by their insurance, as well as any needed exams or testing. If you discover a lack of insurance coverage, you have the foresight to make payment plan arrangements prior to a visit. PM facilitates the integration and efficient functioning of your office’s insurance and financial reporting. You can easily monitor which insurance companies have or have not made payments, due dates, and payment amounts. Fostering patient relationships is key to surviving amidst the competitive landscape of retail clinics and urgent care centers. The individualized attention unique to an independent doctor is a primary attribute that retains patients. The rapport and historical knowledge a patient experiences with a physician who is familiar with their circumstances is incomparable to an urgent care visit. PM also serves as a customer relationship management software (CRM). You can store patient demographics and visit histories within the system to create reminders for yearly exams and health maintenance procedures for the promotion of good health. The demographics can also be used in your marketing efforts to customize your message targeting and identify appropriate research survey participants. PM incorporates electronic health care, appointment reminder, and revenue cycle management software into a convenient patient portal. 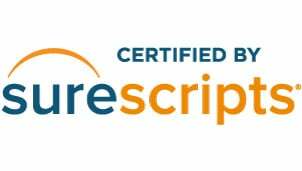 Securing the survival of your independent medical practice involves the successful execution of compliance procedures, patient health recording, billing data management, insurance denial reduction, and patient relations. Without the assistance of a large-scale staff or adequate guidance, your office could be in jeopardy. The enactment of a digitized system to reduce paperwork and expedite your operational flow will allow you to compete technologically. Partnering with a company that provides an all-inclusive practice management software under one EHR vendor, along with the availability of support is an advisable decision for long-term profitability. Did we miss anything? Or do you have other ideas of to effectively use your practice management? Leave your comments below. Casey is a seasoned sales and marketing professional with 18 years combined experience in D2D and B2B sales environments. Casey joined PCIS Gold in March of 2017 and is responsible for business development in all 50 states.